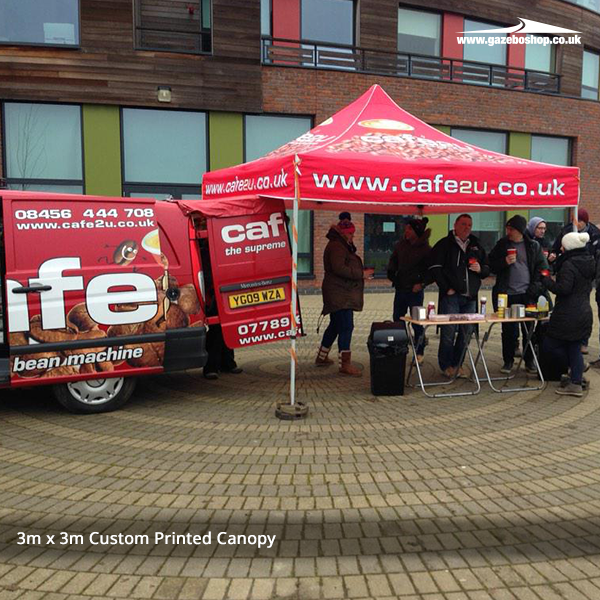 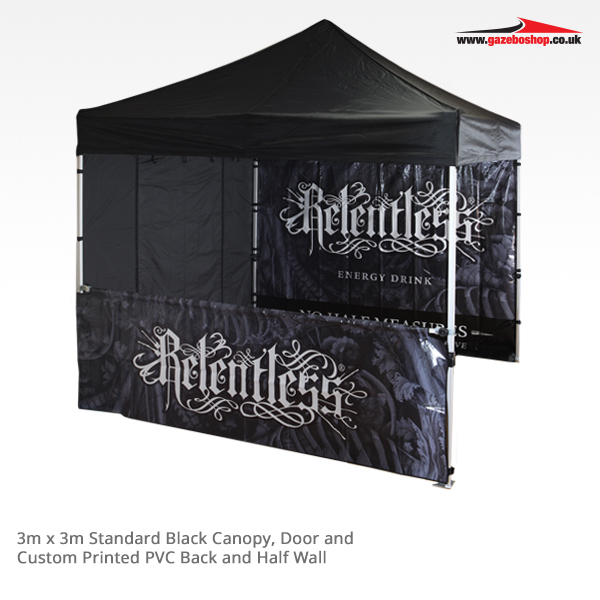 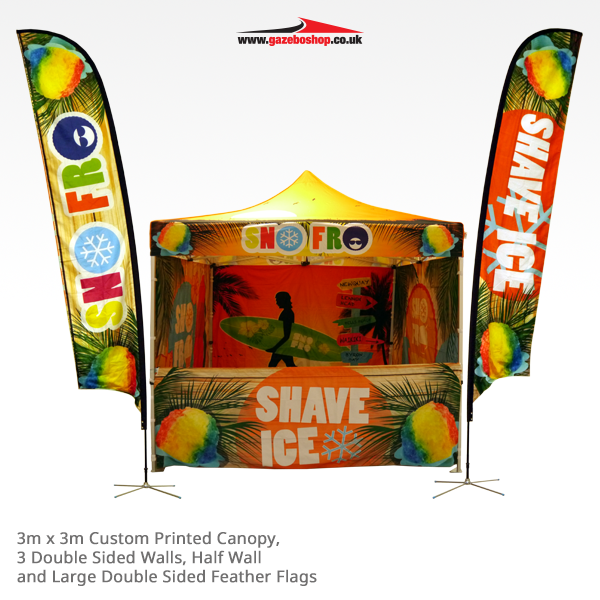 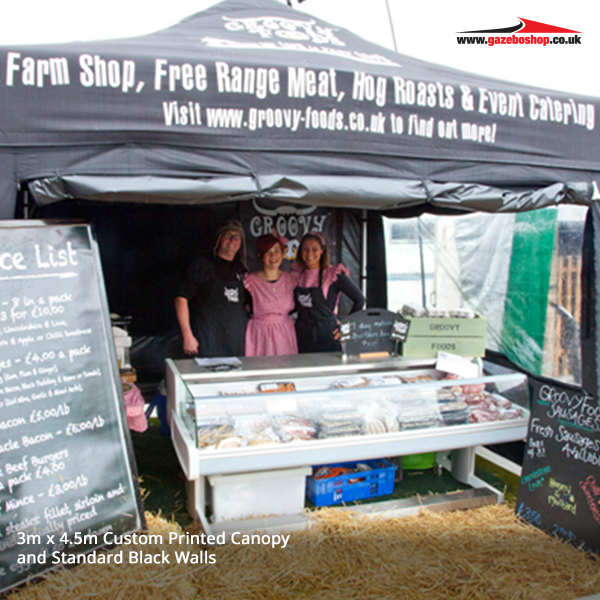 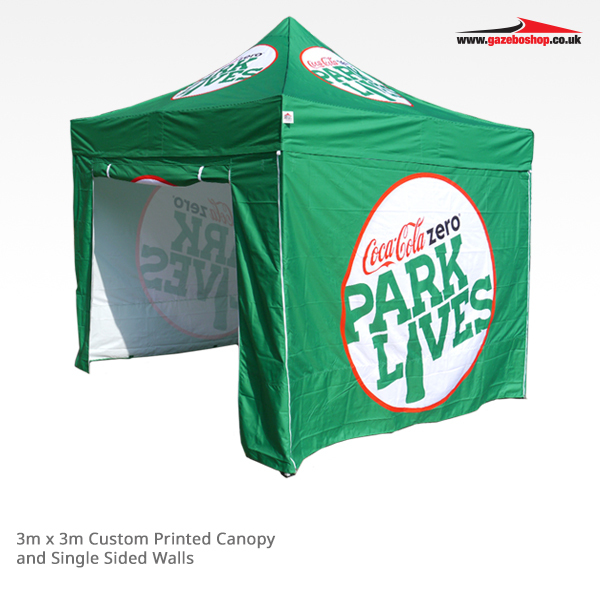 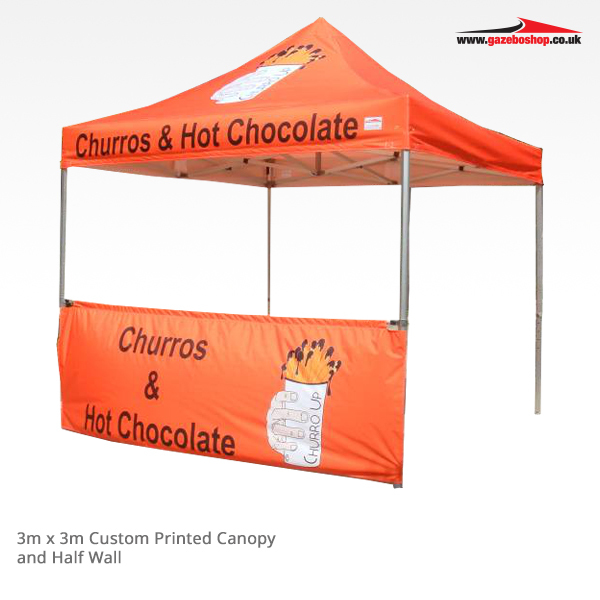 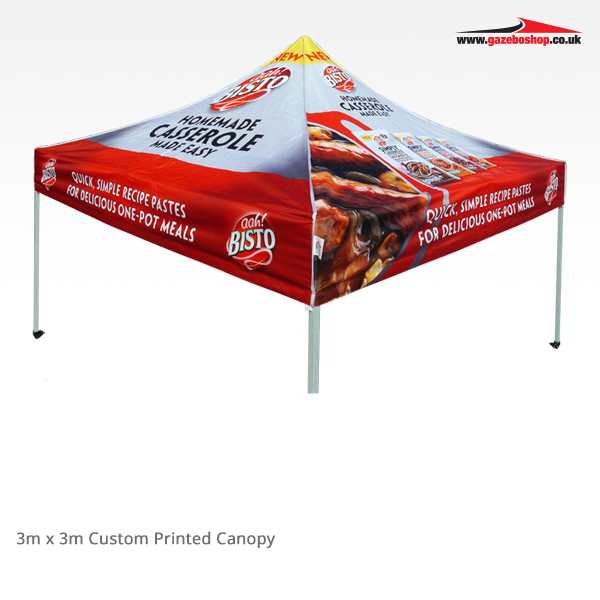 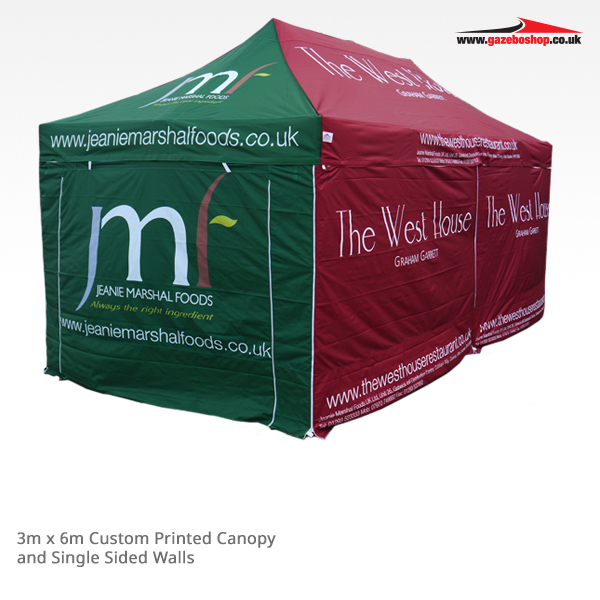 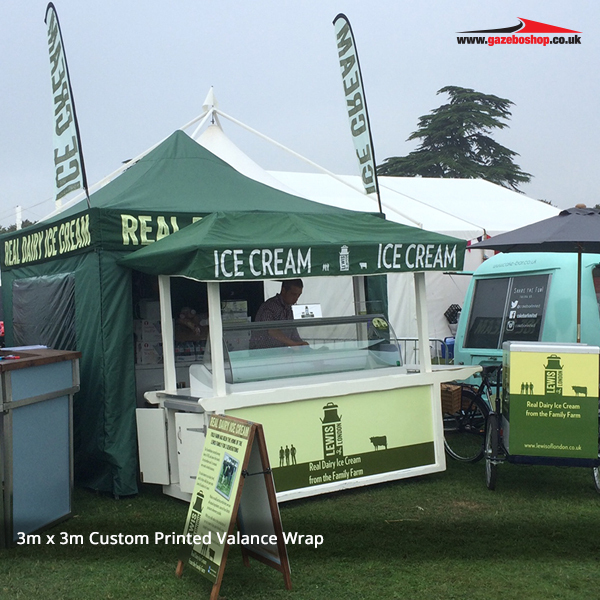 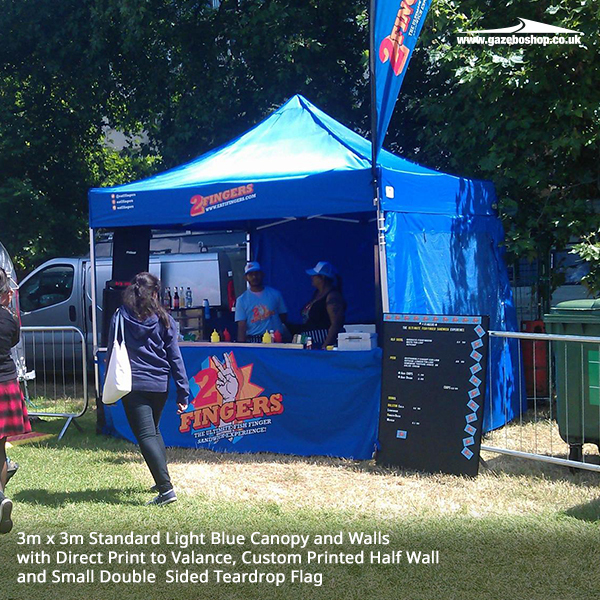 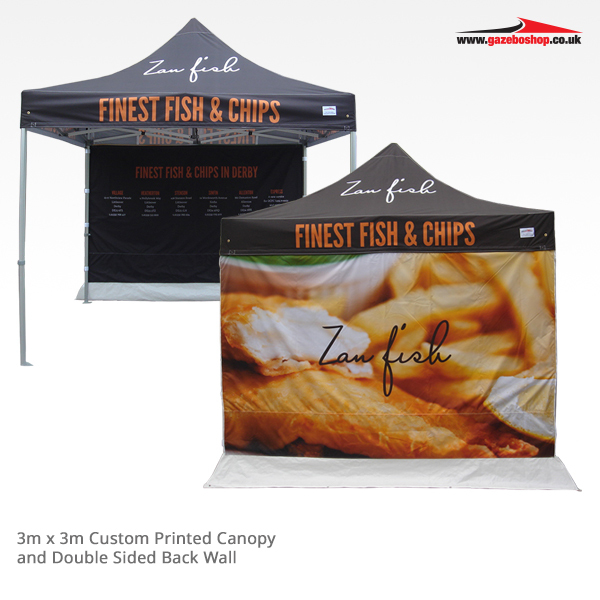 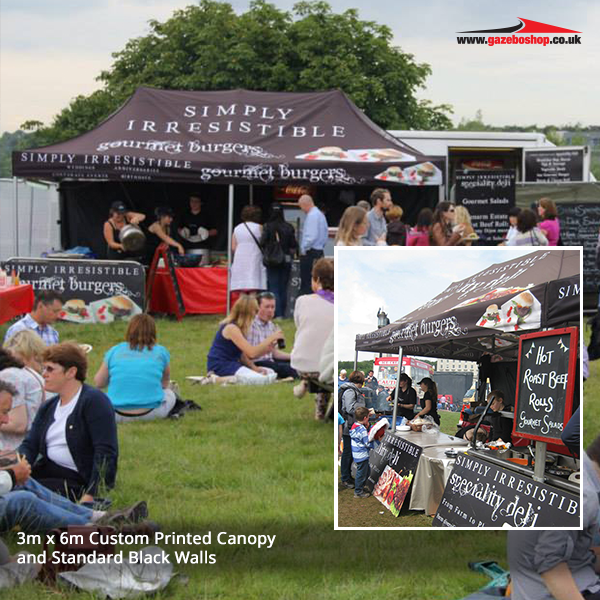 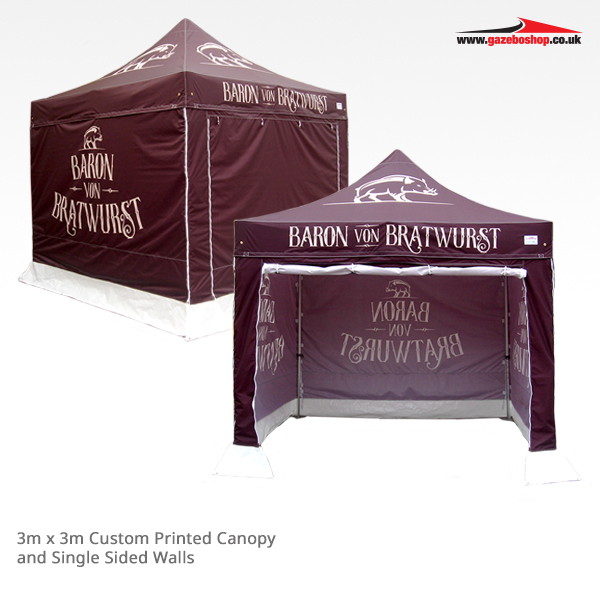 We produce high quality printed gazebos for any catering and street food events. 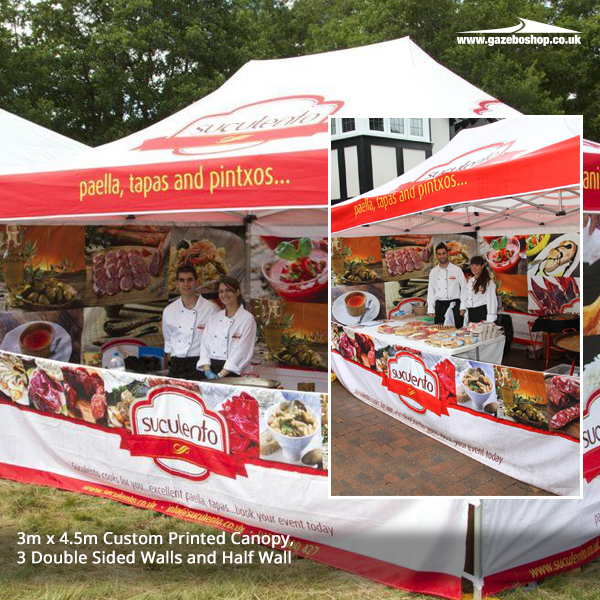 To stand out at catering and hospitality events, you need a unique and intriguing gazebo to highlight your standout products. 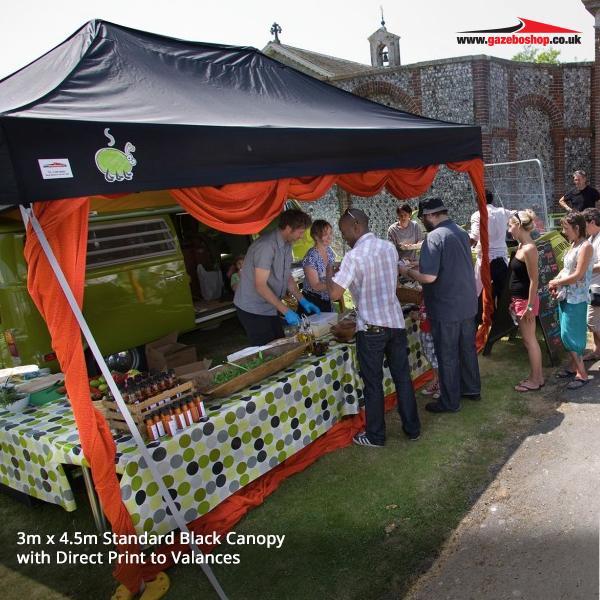 For this reason, it’s important to note that catering and food gazebos are not exclusive to the outdoors, it can even provide the competitive edge for indoor events. 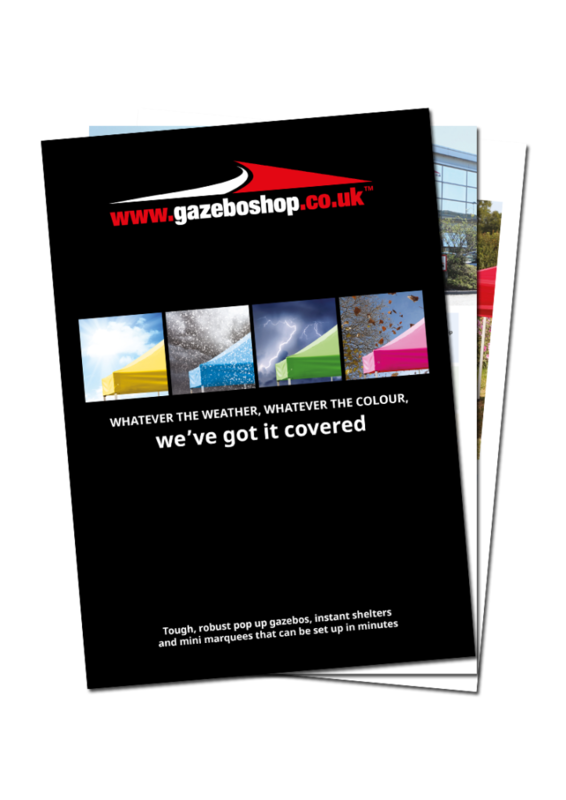 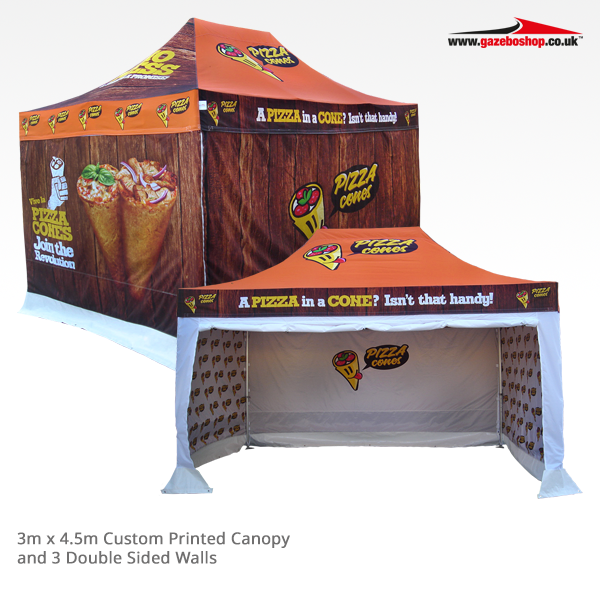 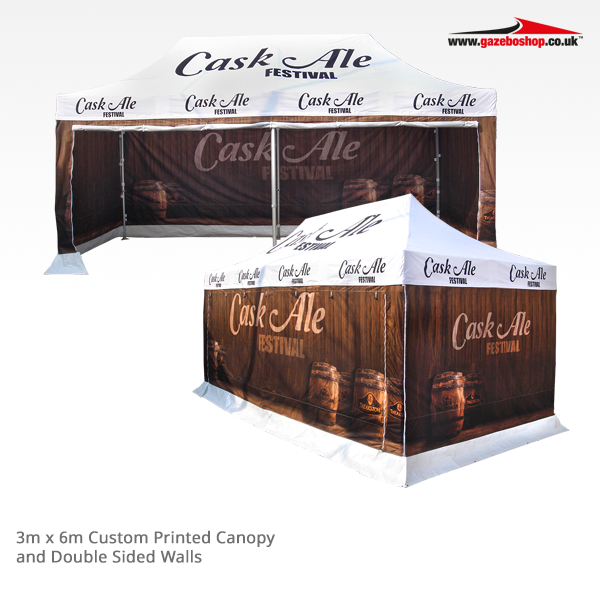 Here at Gazeboshop, we have created custom-printed catering gazebos for a huge range of clients to ensure you have a better trade show, every time. 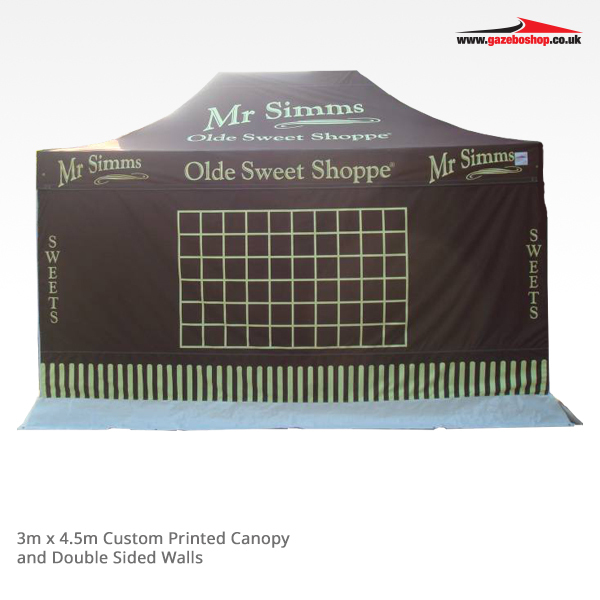 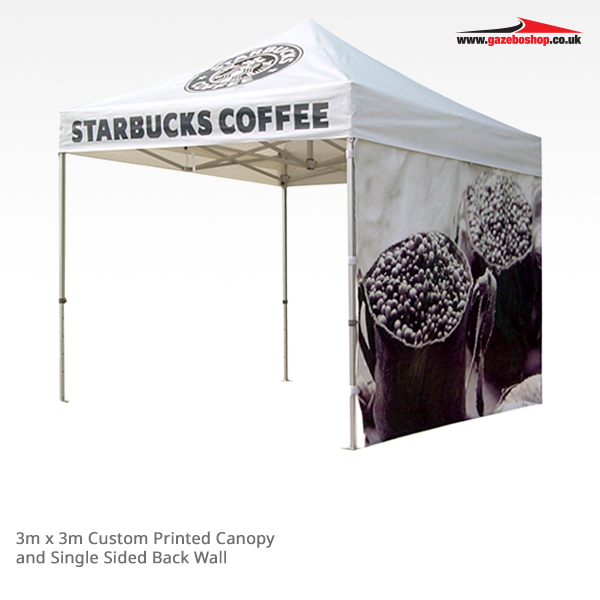 Our gazebos are suitable for showing off your tasty produce as they have no trouble covering BBQs and street food ovens. 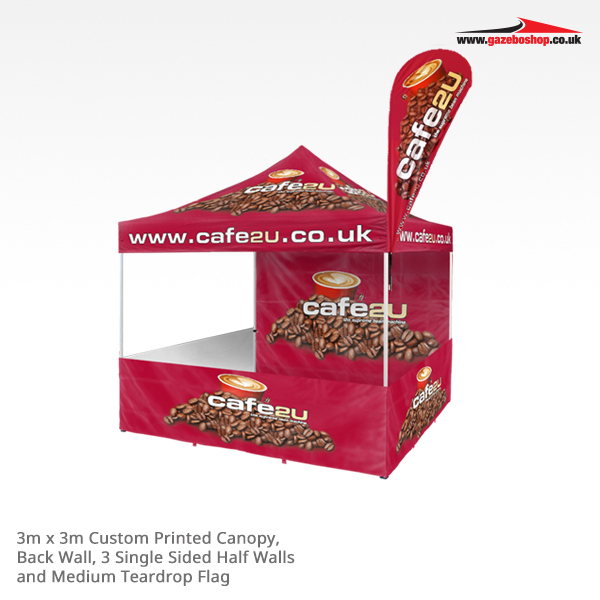 Made using a waterproof material, our catering gazebo is designed to keep you and your food dry as well as protect you from harmful UV rays, ensuring no sunburnt chefs! 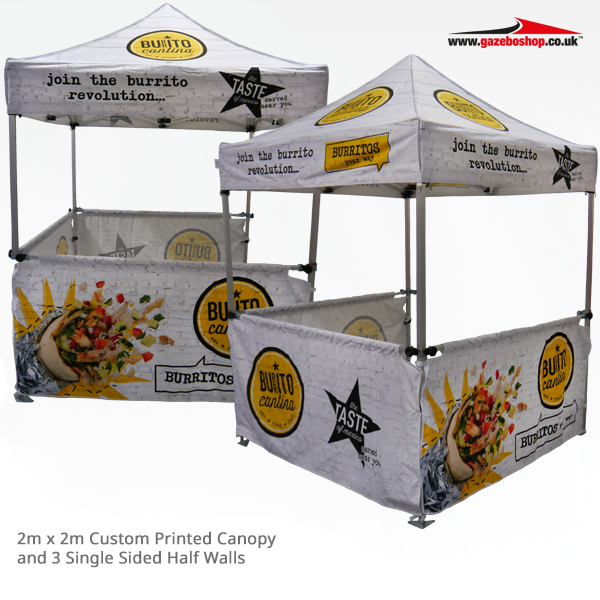 We have worked with a variety of clients including the likes of Coca-Cola, Jamie Oliver and Cafe2U creating bespoke Gazebos for their next catering exhibition. 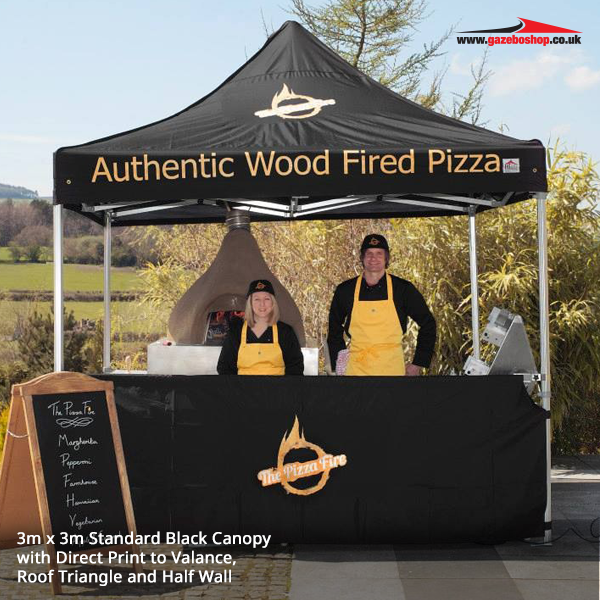 Take a look at some of our previous work below and get in touch to see how we can create a gazebo to truly represent your business. 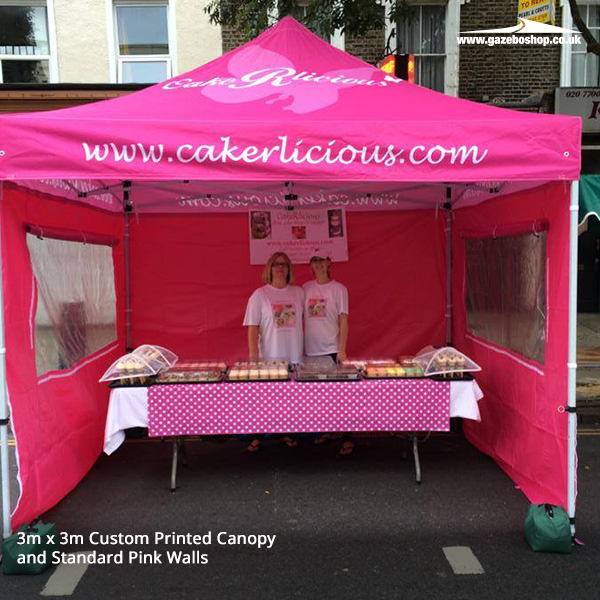 Posted on August 5, 2014 at 1:05 pm category: Gallery. 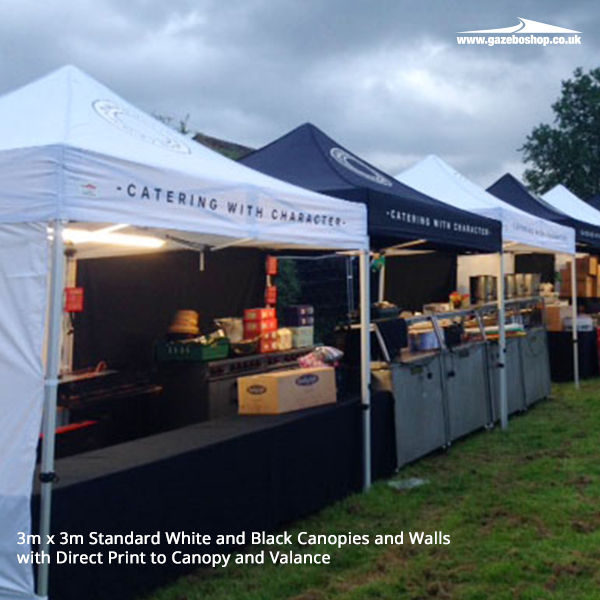 Tagged: Catering, Street Food.